Today’s PowerPoint tutorial will show you how to add a picture to a PowerPoint 2007 Presentation. 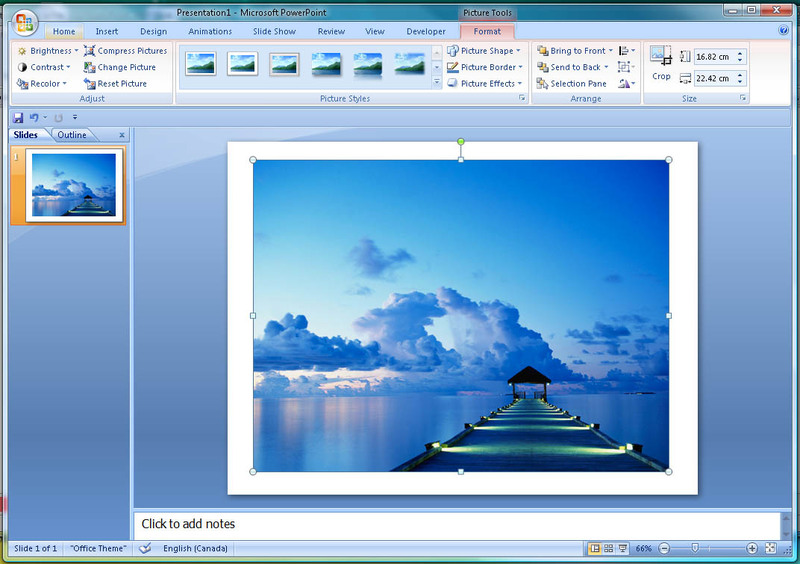 Take note that if the image is too large, PowerPoint will resize the image to fit the slide. 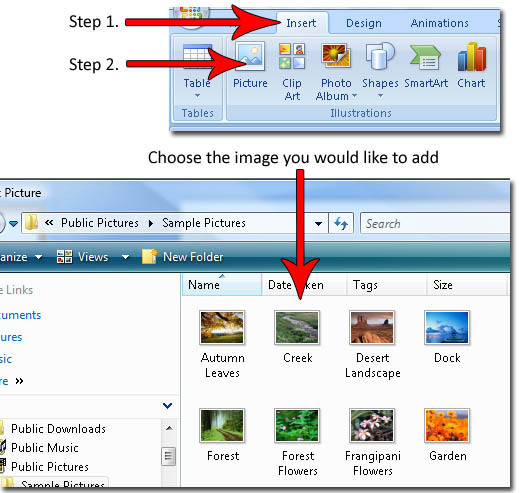 Here an example of an inserted image. If you enjoyed this post, please consider to leave a comment or subscribe to the feed and get future articles delivered to your feed reader.